Books — Lenz Consulting Group, Inc.
“Evan Lenz’s XSLT 1.0 Pocket Reference is a masterpiece of concise, readable and useful writing. 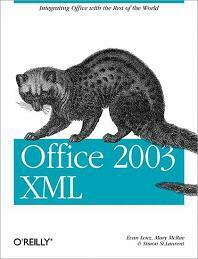 “This is an amazing feat of distilling all you really need to know about XSL into 170 pocket-sized pages. What’s more amazing is that an experienced developer with little prior XML/XSL experience can actually learn enough from this little gem to write competent XSL. 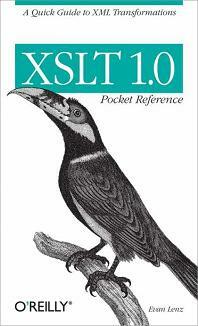 “If you need to get up to speed with XSLT 1.0, I *HIGHLY* recommend O’Reilly’s XSLT 1.0 Pocket Reference, by Evan Lenz. It’s $10, readily available on the shelf at most Barnes & Noble stores, and is, in my opinion, the best quick reference yet written on XSLT 1.0. It only takes about three hours or so with that book and some good example cases to wrap your head around most basic XSLT 1.0. “Spot-on perfect. I own the O’Reilly XSLT Cookbook and Michael Kay’s enormous XSLT Programmer’s Reference, but I refer to the pocket reference more often than either of them. Evan Lenz targets exactly what you need to know to get a solid grasp on the fundamentals of XSLT, instantly clarifies those little built-in quirks that drive you crazy, and concisely explains every last option in the perfect amount of detail needed to utilize those parts of the language. “With as open-ended of a syntax as XML is, you need a solid base for manipulating it with open-ended functionality; I think the downfall of the cookbooks and the pre-designed scripts is that they’re locked into a specific structure, and it’s never going to be exactly what you need for your project. With the XSLT Pocket Reference, however, it’s the exact opposite - Lenz empowers you to use these basic tools to their full extent, with your own creativity and innovation as the backdrop. Then when you run into a quirk, you’ll find that there’s another small part of his explanation that will get you back on track in no time. Read Chapter 3, "How XSLT Works"
Buy at oreilly.com or Amazon.com. Read Chapter 2, "The WordprocessingML Vocabulary"
Copyright © 2018  Lenz Consulting Group, Inc.